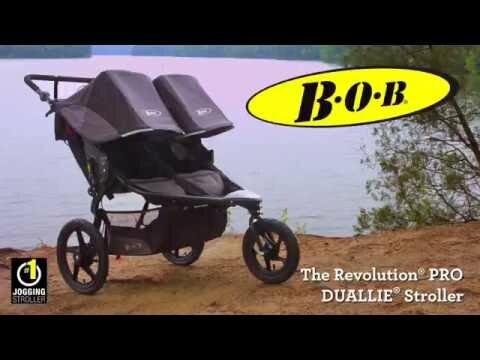 What a SUV is to cars, the Revolution Pro is to strollers. Rear drum brakes give you lots of slowing and stopping power to tame steep hills. An adjustable suspension system, padded seat and multi-position canopy ensure passenger comfort whatever the terrain and weather. 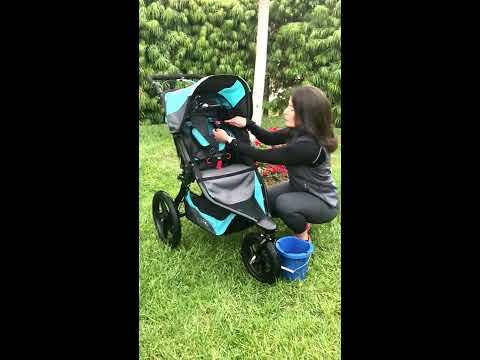 For parents, the padded handle has 9 position options, the big foot pedal on the parkign brake is easy to apply, and the seatback can be adjusted with one hand. Easy 2-step folding gets the Pro into and out of trunks smoothly and easily. UPF 50+ rated canopy adjusts through 5 positions and 125° for protection against the elements. Large viewing window lets you keep an eye on baby. Seats 2 children from 8 weeks up, capacity is 45.4kg (kids plus cargo).